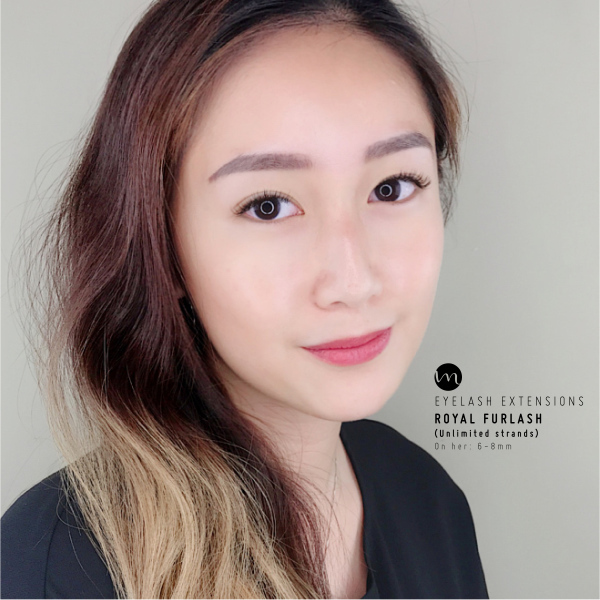 Our extensions come in various lengths, colours and thickness; we are able to create natural or dramatic looks, depending on the customer’s preference. They can also be worn while sleeping, showering, or swimming. 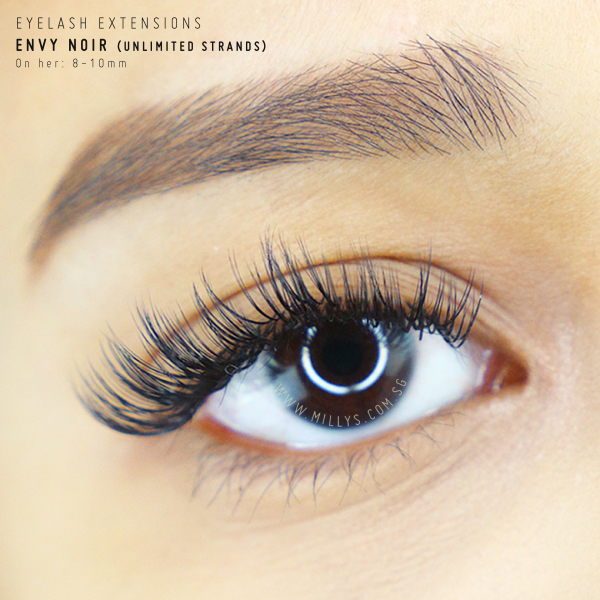 Unlike false eyelashes, our extensions are applied one extension to one lash. 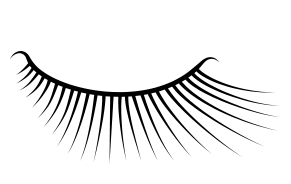 The procedure to attach the extensions takes an average of half an hour for a full set. If properly applied with cyanoacrylate adhesive, eyelash extensions are designed to bond to one’s natural eyelash. 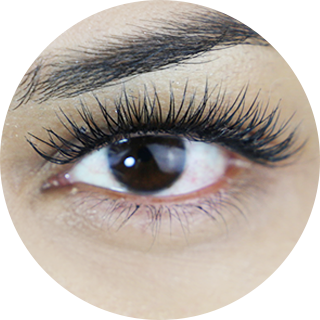 Eyelash extensions may last from two weeks to two months, depending on the cycle of hair growth. 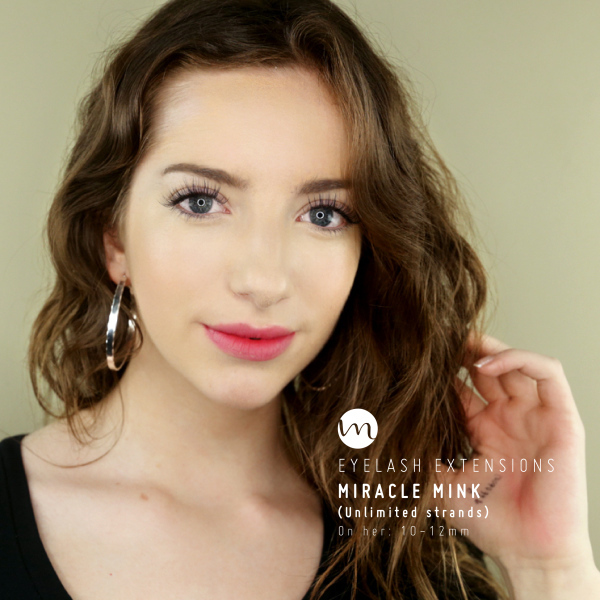 HOW LONG DOES MILLY'S EYELASH EXTENSIONS PROCEDURE TAKE? 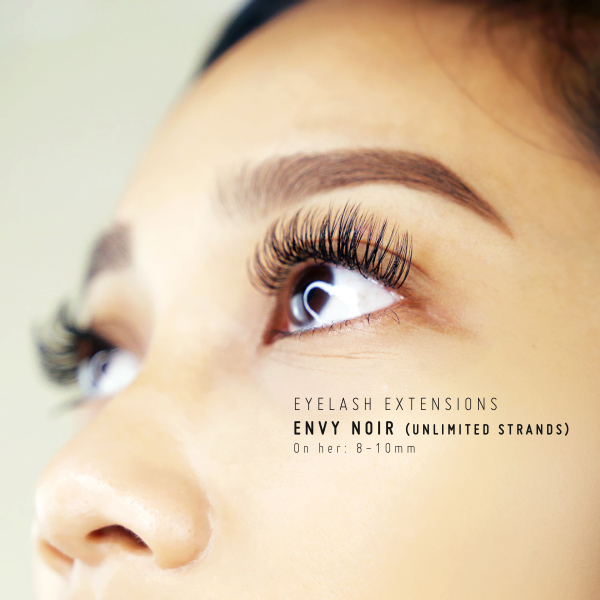 Eyelash extensions are synthetic eyelashes that help lengthen and thicken your own natural eyelashes. At Milly's we offer 2 different types of eyelashes. 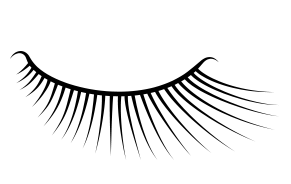 clusters of eyelashes are applied to your eyelid, creating an eyeliner effect. 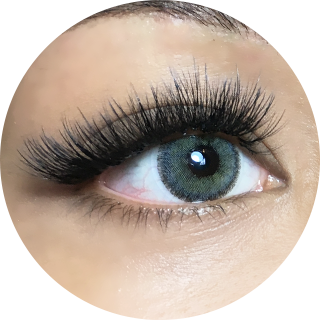 WILL MILLY'S EYELASH EXTENSIONS CAUSE MY NATURAL LASHES TO DROP? No, unless you attempt to remove the extensions on your own without proper procedure from Milly’s. HOW LONG WILL MILLY'S EYELASH EXTENSIONS LAST? DOES IT HURT? 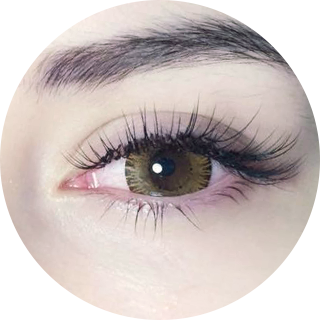 WILL I EXPERIENCE DISCOMFORT WHILE HAVING MILLY'S EYELASH EXTENSIONS ON? 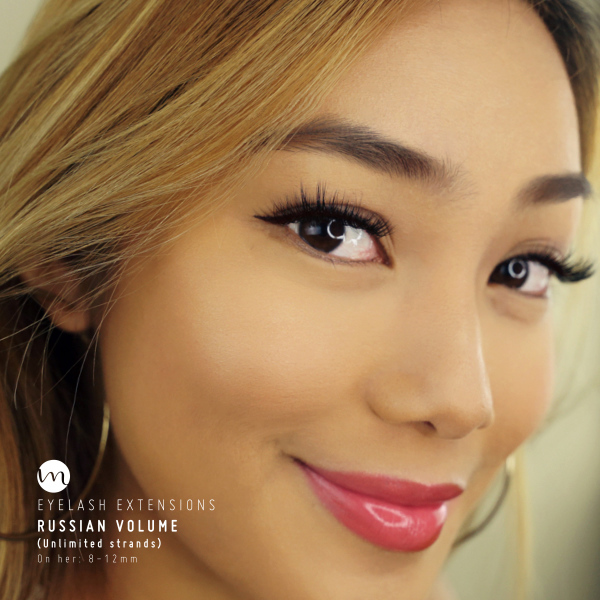 On average, our eyelash extension can last between 3 - 6 weeks depending on the growth rate of your natural eyelash and the duration will differ for every individual. 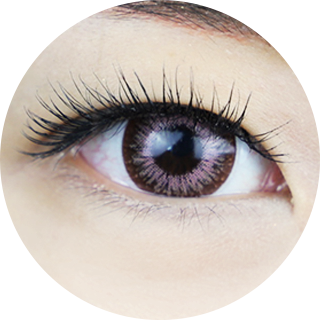 It is advisable to redo a new set of eyelash extensions after 4 - 6 weeks. No, it should be a painless procedure. 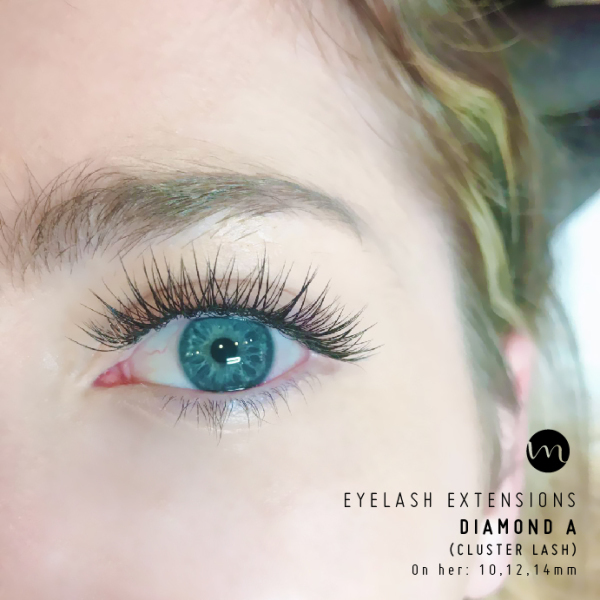 For customers who are having eyelash extensions on for the first time, a little discomfort might be felt during the first 3 days especially for cluster lashes as they are generally harder in texture as compared to single lashes. If you experience any form of discomfort after the procedure, kindly inform our beauticians immediately. 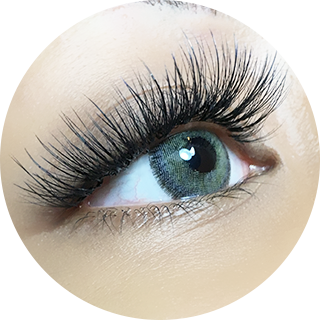 We would recommend getting a touch-up 2 - 3 weeks after getting your eyelash extensions. 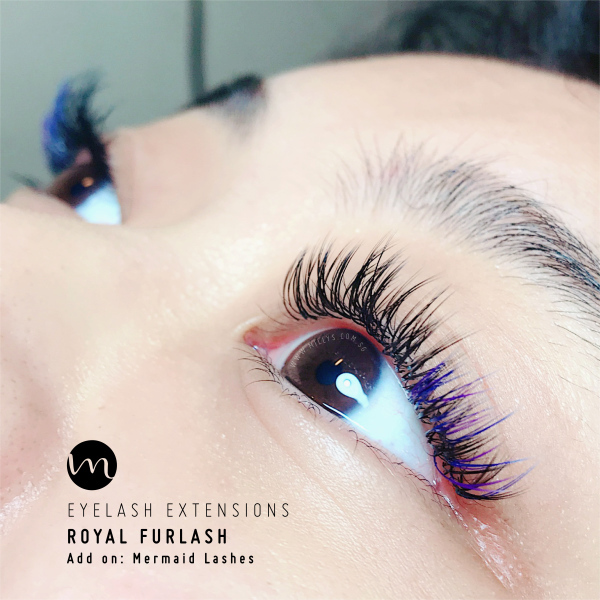 Your natural eyelash growth cycle causes your eyelash to fall out every 45 - 60 days and during a touch-up, eyelashes are filled into gaps where your eyelashes have fallen. 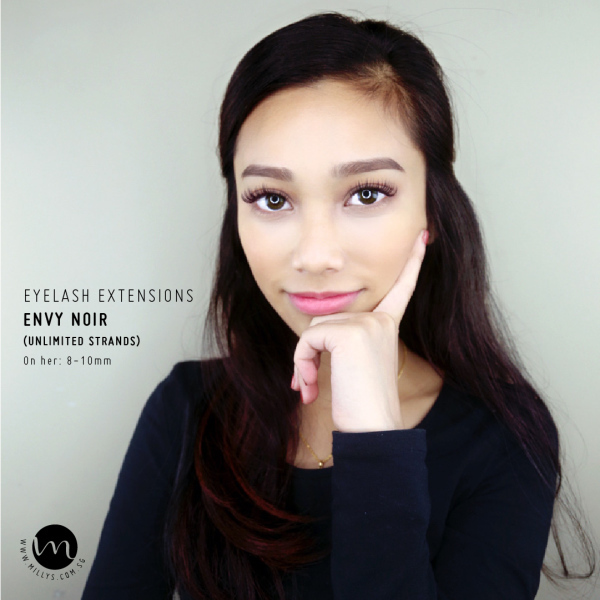 HOW DO I MAINTAIN MY EYELASH EXTENSIONS AT ITS BEST? 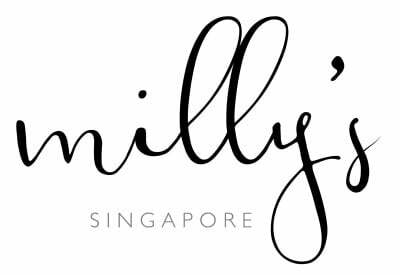 Avoid using any oil-based product on your eyelash extensions and do remember to follow the guidelines on the Milly’s Eyelash Extensions Care Guide Card issued to you after the eyelash extension procedure. 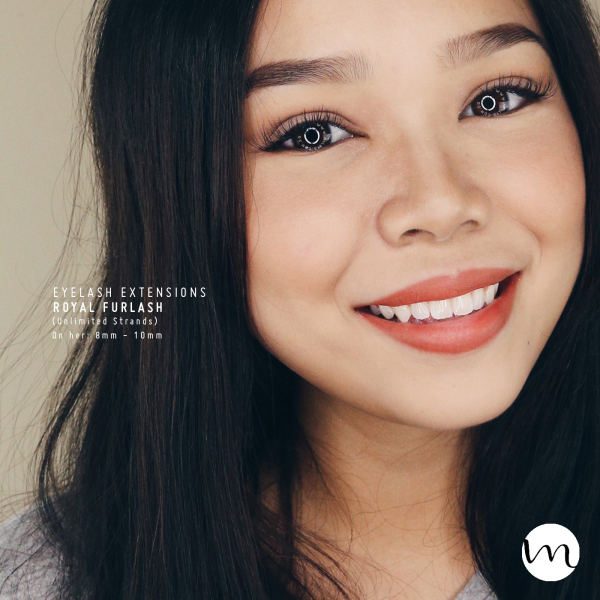 CAN I ENGAGE IN WATER ACTIVITIES (SWIMMING, SAUNA ETC) WHILE WEARING MILLY'S EYELASH EXTENSIONS? 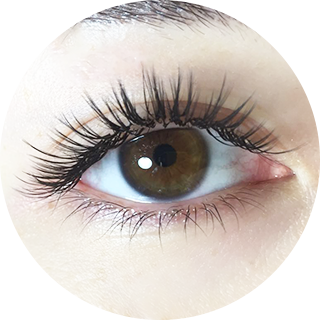 CAN I STILL APPLY MASCARA TO MY EYELASH EXTENSIONS? Yes, you may. However, it is crucial that you keep your extensions dry for the first hour to ensure that the glue has been dried completely. You do not have to apply mascara but if you wish to, only apply water-based mascara for easy removal. 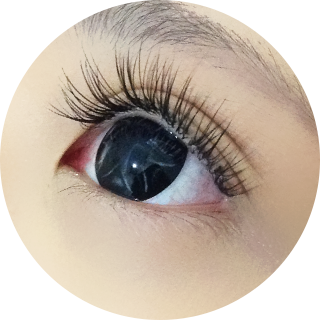 Alternatively, you can purchase Milly’s Eyelash Extension Mascara Coating retailing at $38. Keep extensions dry for first hour and clean at all times. Avoid using mascara or oil-based eye products. Use Q-tips with water-based makeup remover or cleansing wipes. Refrain from perming or using mechanical curlers on extensions. Be gentle with the eyelash extensions and try not to rub or pull them. Do not remove the eyelash extensions on your own. 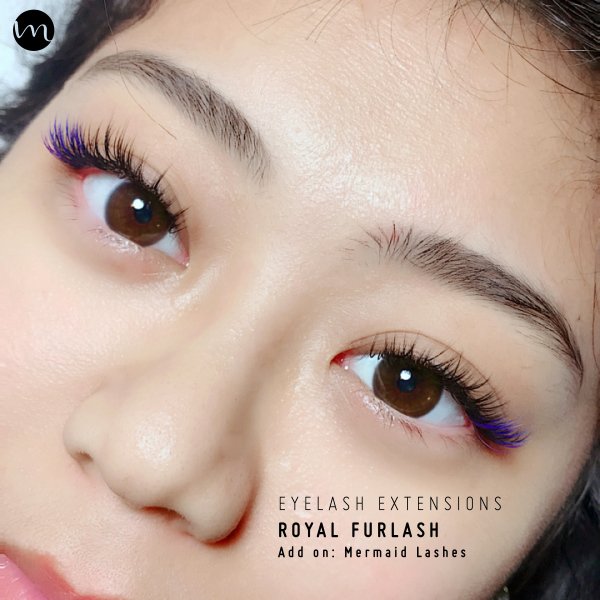 Apply eyelash serum to condition your real eyelashes. We encourage touch-ups once every 2 weeks.